Trained professionals are waiting to take your call 24 hours a day, 7 days a week. Our crisis support service, known as Haven, offers a calm and friendly alternative to A&E for people in mental distress 365 days a year. It’s available to people who live in Bradford, Airedale, Wharfedale or Craven. Haven is a non-clinical, supportive environment designed to help people in crisis stay safe, work through and understand their feelings, and then support them to access the support they need going forward. We run this service in partnership with Bradford District Care NHS Foundation Trust and Bradford Metropolitan District Council. Is Haven right for me? You can access Haven if you are over the age of 16 and feel at the point of crisis (if you are under 16 you can still ring First response for support). Crisis will mean different things to different people but often it will be when you feel unable to cope and need immediate support. You don’t need to be accessing any of our other services to make use of this crisis support service. How can I access Haven? Haven can be accessed by calling the First Response telephone number on 01274 221181. If you attend A&E in crisis you may also be offered Haven as an alternative way to receive support. Haven is not currently open to self-referrals. You can attend on your own or you may wish to come with a family member or friend. You can attend with your children age 4 or under. Haven is open every day of the year between 10am and 6pm each day. You can still contact First Response outside of these hours and they will be able to offer you support over the phone or refer you to another crisis service. We are unable to support you if you are under the influence of alcohol or other substances. And any immediate physical health needs, such as self harming must be resolved before arriving. We cannot prescribe medication or arrange hospital admission. 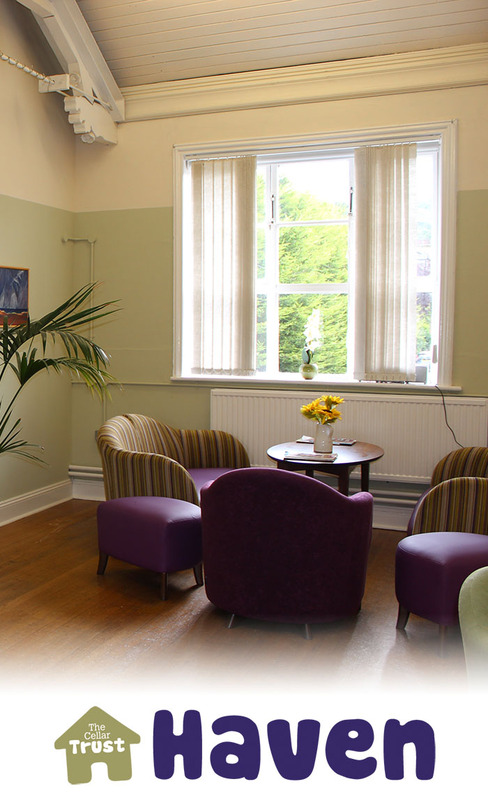 While you are at Haven you can access our relaxing communal areas, including a mindfulness room and you will be offered a one-to-one session with our trained staff. Additional support is available through our volunteers. Many of our staff and volunteers have had their own experiences of mental distress. We encourage people to work with us to develop their own wellness and safety plan. This is about helping you to cope in the future, as well as looking at what additional support might be helpful for you. What happens after I have been to Haven? After your visit, we will phone you the next day and after 7 days to check in and see how you are doing. People who have attended Haven can also benefit from our 8 week after care peer support group and for people in employment, they may find our Work Aid group supportive.